We investigate supporting higher quality deliberations in online contexts by supporting what we call "social deliberative skills," including perspective-taking, meta-dialog, and reflecting on one’s biases. We report on an experiment with college students engaged in online dialogues about controversial topics, using discussion forum software with "reflective tools" designed to support social deliberative skills. We find that these have a significant effect as measured by rubrics designed to asses dialogue quaility and social deliberative behaviors. 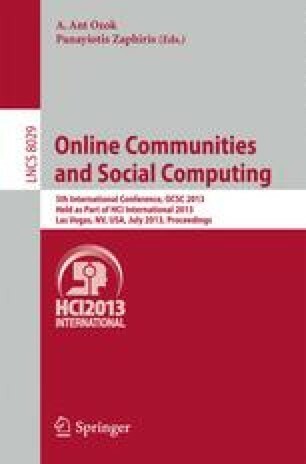 This research was funded by an award from the NSF #0968536, "The Fourth Party: Improving Computer-Mediated Deliberation through Cognitive, Social and Emotional Support." Any opinions, findings, conclusions or recommendations are those of the authors and do not necessarily reflect the views of the funding agency.